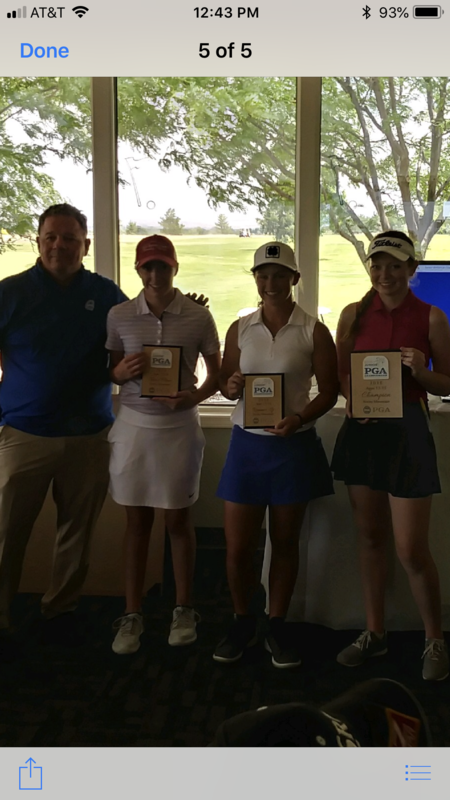 Congratulations to Carly Carter for qualifying for the 43rd Girls Junior PGA Championship to be contested at Kearney Hill Golf Links in Lexington, Kentucky on July 9-13th. Carly, who is 15, placed 3rd in the girls 16-18 division. After posting a 5 over 77 on day one, Carly posted a 73 in windy conditions on day two and had the low round of the day. Carly’s game has really improved this year. 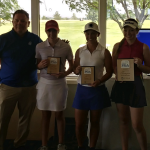 She played in the AJGA Mahoning Valley Hospital Foundation Junior All-Star tournament in June. There were some challenging rainy conditions. After struggling on the first day she fought back to make the cut by posting a 70. The lowest round of the day. On day three, she posted 75 for a three day total 225. I love seeing her confidence grow, because she is just starting to understand how good she is! Great playing Carly!